A gang war erupts in East LA between neighborhood gangs and the notorious MS-13 gang from San Salvador and a Mexican cartel from Tijuana is right in the middle of the conflict. CIA Agent Jonathon Stone is assigned the operation. He joins a crime task force to try to stop the violence and capture the cartel leaders. Along with FBI Agent Jodi Shannon, he pursues the elusive Raul Romero, the cartel kingpin, who he has been after for a decade. 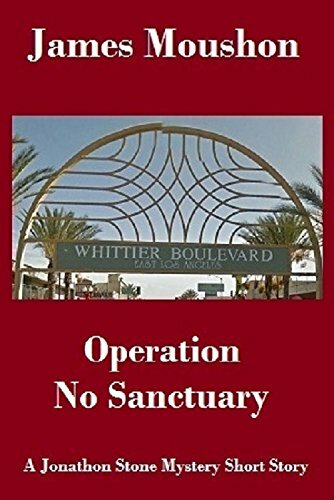 Drug trafficking, gang shootings and politics all play a role as Jonathon battles the sanctuary city LA which seems to protect the innocent and the guilty. Twenty-One. My favorite words unless the dealer is looking at her hole card. I was on a great run which doesn’t come too often. The dealer kept busting and I kept raising my bet and the Jack and Cokes kept appearing at my elbow. The Ocean Queen Casino was my sanctuary. Being an at-large agent for the CIA had its perks. Of course, tomorrow I could be anywhere in the world. Actually, tomorrow was the day for our weekly phone conference so I was safe until 0900. My boss, Russ Evans, would be prompt. I liked the freedom but I liked the action more. I am a part of the DOT division which is the domestic unit of the CIA. We handle terrorism matters that originate outside the country. And you are asking me if that is legal? It’s not. And it’s not a well-kept secret either. Yet here I am in the Long Beach area living in the shadows. I motioned to the cocktail waitress for one more. This would have to be my nightcap. Jill was back in a flash. “Here you go, Jon,” she said, taking a long look at the stash of chips in front of me. I put a five dollar chip on her tray as she brushed against me. I had about two thousand in black and green chips so she had higher expectations. “Not tonight, Jill,” I said to myself. I was going to cut and run shortly. The next morning came quickly. I made it to the back patio with my coffee just in time to catch the first ring of my cell phone. Wiley was controlling the calls, taking roll and passing along the weekly code word. Sometimes I got confused with this process but Wiley had my back. The regular agents used the code regularly. Me, not so much. That comment got my immediate attention. I could hear him asking Wiley if I was there in the background. I could hear someone on the other end chuckling. That damn Wiley. He knew about Jodi and my history. “I would love to snag Raul Romero,” I said. I remember Romero, I thought to myself. In 2006, I was involved in a gun sting. We were selling guns through straw purchases, trying to trap Romero’s Cartel into using the guns for their illegal activities. Unfortunately, the op went sideways and the guns wound up back in the states. We concluded that Romero got tipped off someway about the sting and resold the weapons to gangs in Southern California. This deal in LA could give us another shot at Romero. That afternoon I checked through security at the LA Federal Building and was directed to a conference room on the second floor. I slowly opened the door to find at least a dozen people already seated. I saw Jodi in the front with a man dressed in a LAPD uniform and another guy in a suit. Probably FBI. It sounded like Jodi was taking roll. She saw me and smiled. I halfway raised my hand in acknowledgment and took a seat in the back of the room. Except for Jodi, I didn’t recognize anyone. On the side wall was a map of LA with a big red ‘X’ and a bigger map of Southern California next to it. After studying the LA map a little, I noticed an area painted in blue and another area with a green ‘X’ that I recognized as the City of Whittier. Also there were two rows of pictures next to the maps. The first row had only two pictures which I assumed where our two victims from the murder yesterday. The second row had four pictures. The last one caught my eye. It was Raul Romero, the cartel kingpin. I turned in my seat to face the front as one by one people introduced themselves. We had the whole alphabet here. We had people from the ATF, a guy from ICE, a DEA guy and, of course, the LAPD and the FBI. I sat there trying not to make eye contact with anyone. I was there for observation but that didn’t last long. I shook my head slowly no. A man at the front table raised his hand. “Yes, Agent Lopez,” Jodi said, acknowledging the man. Agent Lopez had a good point in a perfect world. With my division involved, that changes the game but Lopez didn’t know that. I wish Jodi had let me sit by myself in the back. Jodi got a big frown on her face but didn’t say a word. I had to jump in on this and try to keep my cover. Now it was Lopez’s time to frown. He wasn’t going to give up. I surveyed the audience. Lopez was staring directly at me. Something was up with this guy. He must feel I’m going to intrude on his turf. “We believe two things happened. The MS-13, the Salvadorian gang, has started taking over various areas in LA and eliminating the gang members. We understand from informants that they want the drug trade all to themselves,” The LAPD officer continued. That sounds like a regular gang war to me. Author James Moushon is a self-published mystery author of the Jonathon Stone Mysteries. Also, he is a short story writer and an author advocate. James is the creator of the industry blogs: The eBook Author's Corner, the HBS Author's Spotlight, and the HBS Mystery Reader's Circle. 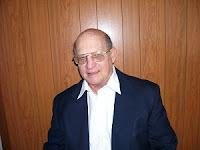 He is the author of the Jonathon Stone Mystery Novels. He has published three books: Black Mountain Secrets, Game of Fire, The Cajun Ghost and Operation Alpha Dog, a collection of short stories all featuring Jonathon Stone, CIA undercover agent.